Pure beauty! 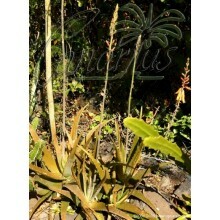 This old classic is small sized bromeliad has it all. 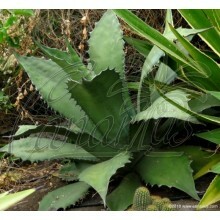 It is fast and easy to grow in most conditions, prolific, colourful, spineless, glossy. It can be grown as a groundcover, epiphyte, in baskets, terrarium... Leaves are green in the shade, and turn red or purple in bright light with less fertilizer. It takes well close-to-freezing temperatures, but not frost or hail. 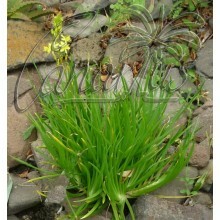 Leaves are green in the shade, and turn red or purple in bright light with less fertilizer. 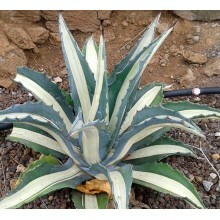 The best colours are achieved in full sun, but - be careful !- it does not like to be sun-baked if summers are too hot. It takes well close-to-freezing temperatures, so it grows outdoors in sheltered conditions in the coastal mediterranean, but it should be protected from hail and from intense summer sun. 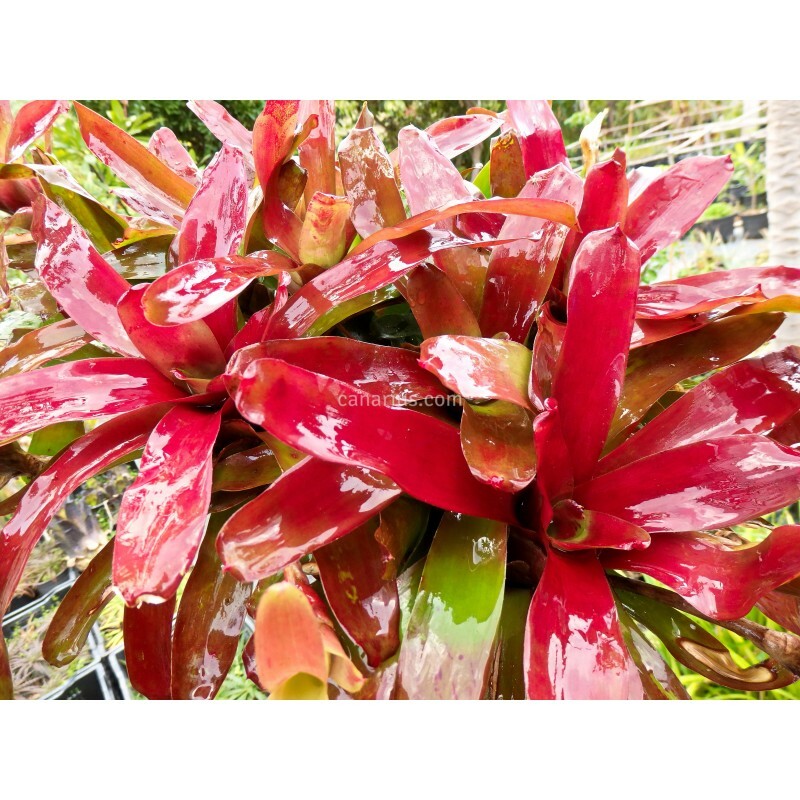 Neoregelia Fireball is a classic, Fireball is Fireball! It is a well known "must", it is everywhere, but... where did it come from? 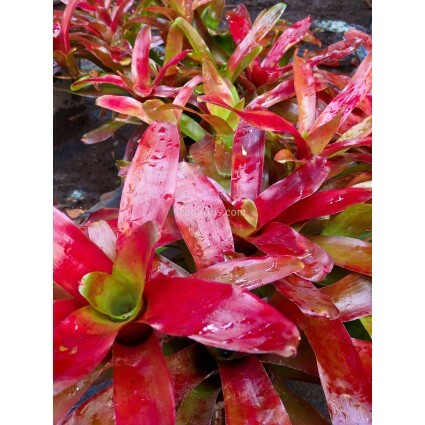 Nobody has ever understood the exact origin of this species but it is probably a Brazilian wild collected form of Neoregelia schultesiana, that has become extinct in its habitat. 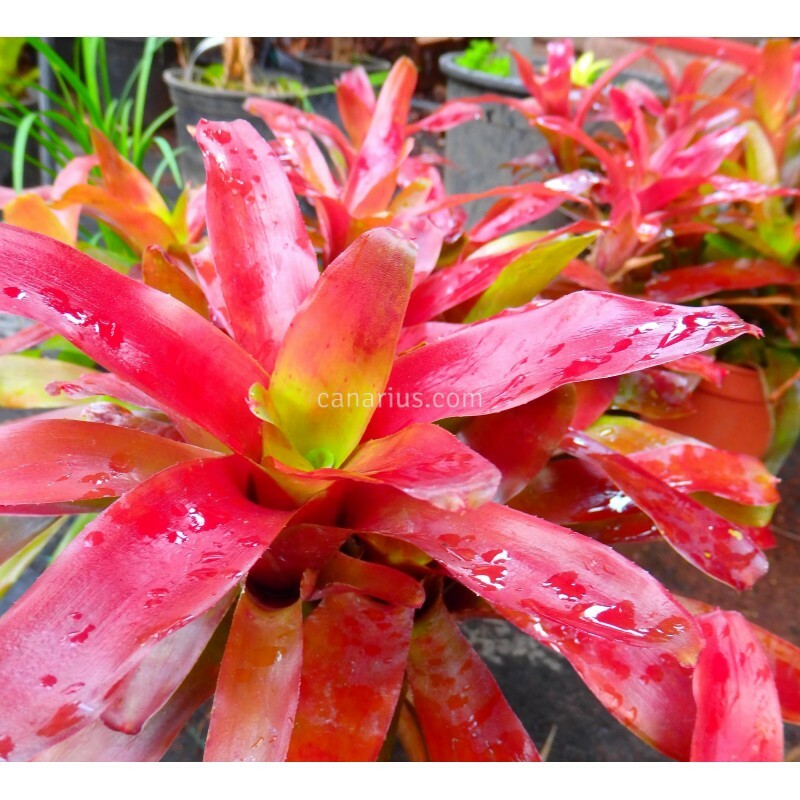 Neoregelia schultesiana itself is an invalid name, so Fireball probably is an undescribed species, extinct in the wild and thriving in cultivation.